HI! I'm Hannibal Lecter and I approve this message. Apparently McDonalds now sells chinese food. aborting babies is wrong, but aborting questionmarks is okay? DOUBLE STANDARDS!!! WAIT! DON'T EAT THAT MCMUFFIN! 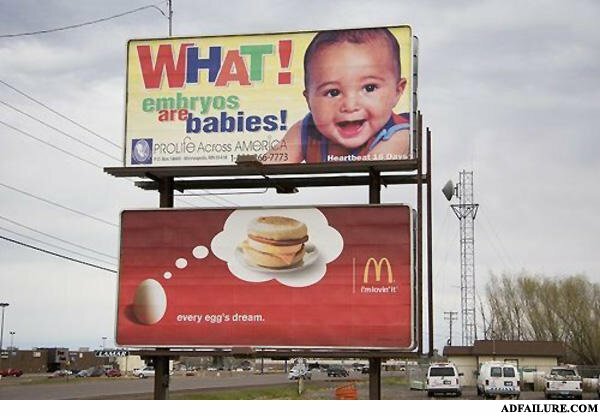 If you don't abort that baby.. you'll have to buy two mc muffins! I love the kind that has two yolks in it! baby back ribs are back! Did the Jewish surgeon charge extra for circumcisions?